Another mixed bag of news and notables that have piled up over the last few days. Thank you for your feedback on my question re. another charity auction in honour of RA’s upcoming birthday. I’ve had some nice responses – so it is going to happen. Mark Tuesday, 22 August in your calendar because that’s when it’ll happen! Over the next few weeks I’ll drop some hints what will be on auction. I can already disclose that plushie maker extraordinaire Sinnamin has given me the idea for a nice new twist to the range of items on offer. She reacted to my Castlevania RAPS reveal by asking whether it would be put up for auction. I didn’t have any particular plans for it, so I replied yes. To which she immediately responded by donating a Trevor Belmont plushie. So, my idea is to auction both RAPS and plushie together, in a set. I really like that set idea – I may have some LLL sets up my sleeve, but if you have other ideas/donations/suggestions, I’d love to hear them. 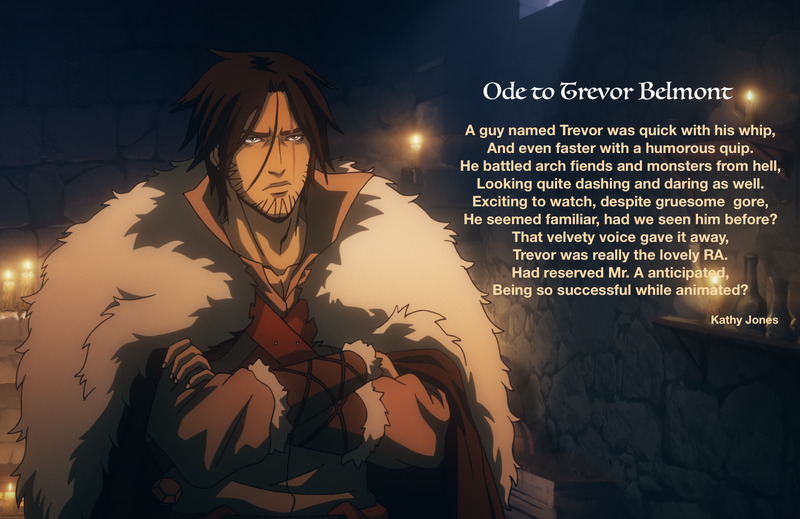 Guess who has been creative on behalf of Trevor Belmont? Another gem from the pen of Ms Jones… Let’s give her some love! Fellow fan Gratiana has had a fabulous idea for a way of generating donations. Since Mr A always asks for birthday presents to be kindly transformed into charitable donations, this is the perfect way of scraping together the funds. Dubbed “Change for Charity”, she explains it all in this handy badge – which you can print out and tape to your change jar: I am onboard with the challenge and made my own change jar. 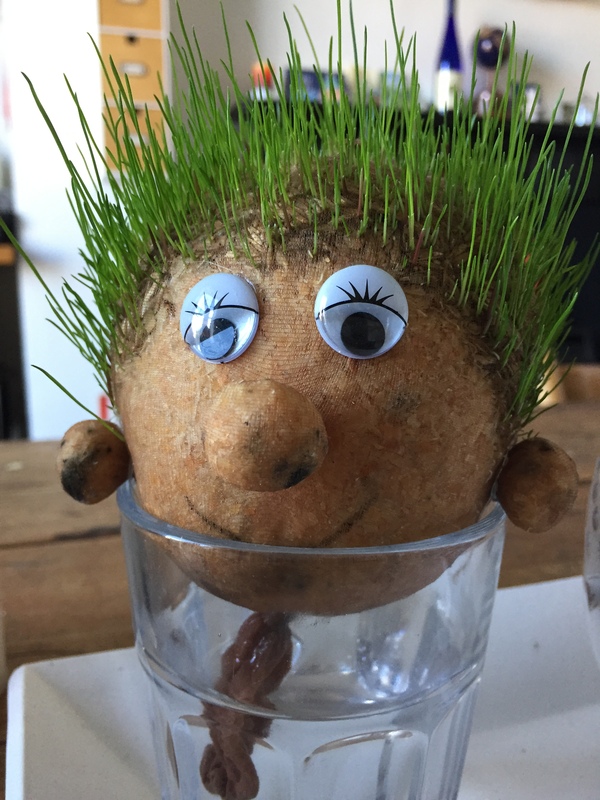 Since Mr Guylty currently seems to be a bit touchy when it comes to RA (he has rather tellingly dubbed this little grass head (click to enlarge) on my kitchen table “Richard”… I don’t know where he is getting that from. Richard neither has thinning hair, nor a round nose. I tell myself it’s because of the beautiful lashes…) I couldn’t tape Grati’s picture on it. 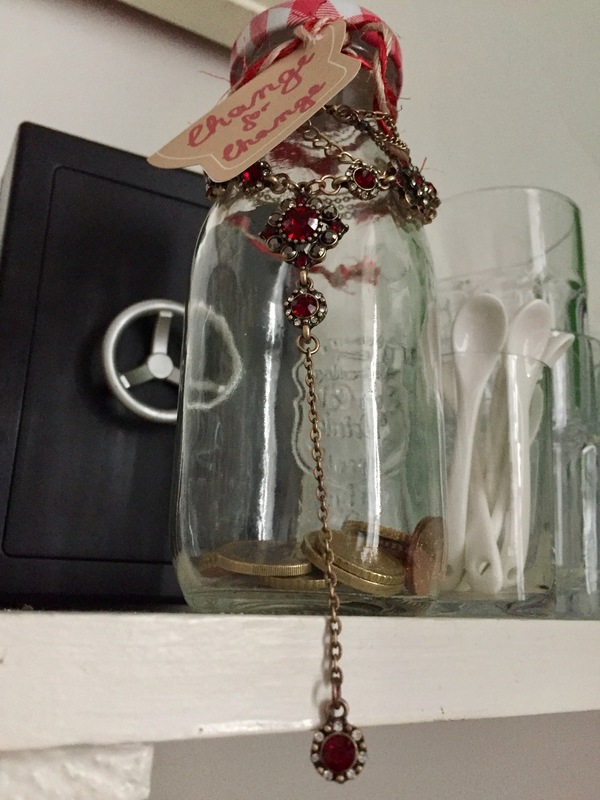 If you decide to take part – and make a custom change jar – share your picture with Grati in the comments on her post. Right, TGIF – only a few translations to get through and a round-up to compile, and then I am off to a family gathering in honour of my f-i-l’s 80th birthday tomorrow. We’re going on a hike/picnic to celebrate, followed by a BBQ with all 14 grandchildren, 5 sons, 5 d-i-l’s, and assorted other family members and friends. Let’s hope the weather holds. Have fun and I wish your f-i-l happy birthday! LOL, I love your “Chia Richard”! Hahaha! How about adding a nice flower garden on top? Thanks so much again for sharing my “Change for Charity” fundraising idea to honor Richard Armitage’s 46th birthday! I appreciate your support and encouragement! And I love your change jar bling! Birthday wishes to your father-in-law! Hope your family has a lovely party! Yep, I hope the Belmont duo will be well received by the fans. Oh, and a change jar made by a lampwork artist!!! The possibilities!!! You could even work directly on the jar, couldn’t you? I hope you’ll take a picture and show us! Not with hot glass on cold… not a good mixture 😉 But I could hang beads on it, I’m sure! Have you thought about a Belmont trio? Kathy’s clever ode with picture would make a great small glossy poster or postcard. Dir und deiner Familienbande ein schönes WE! Das ist komplett korrekt so – sowohl grammatikalisch als auch inhaltlich. Trevor deserved his own ode. He is a great reluctant hero. Sometimes it seems that RA is getting better reviews and more recognition for voicing Trevor than all his big and small screen work. Love the jar idea. Very stylish. As for chia Richard, he does have striking blue eyes. I can see the resemblance. I suppose it only looks as if he is getting more recognition because Castlevania seems to have a wider reach than RA’s screen work. I am really pleased for him, though, because I get the impression he really likes voice work. I always look forward to RA’s birthday month. It is so heartwarming to see his fandom celebrate his special day with creative and generous ways to honor him. 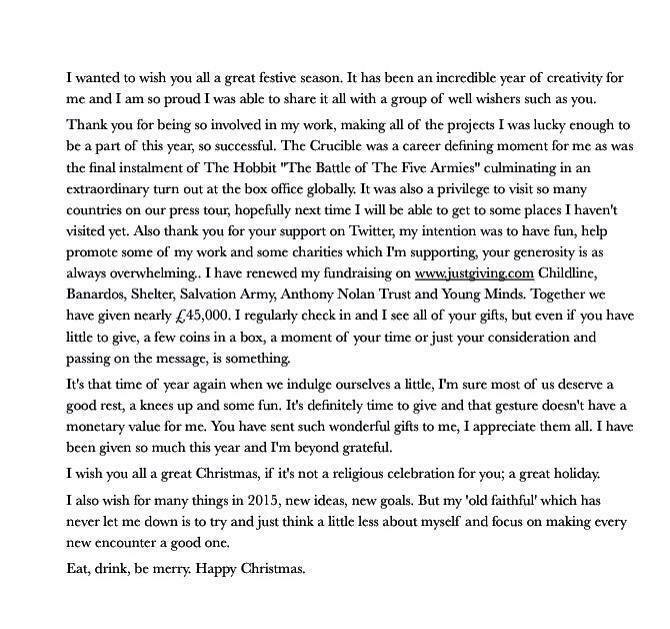 As an added bonus some very deserving charities will be the co-recipients of all that RA love. I can’t wait to see what comes up for auction this year but am pleased to see you and Sinnamin are combining talents for what will surely be a big hit with the bidders. Kathy’s odes are the best! They are fun and clever and always make me smile. I like the idea SueBC had to include the Trevor ode with the bundle. I couldn’t agree more, Donna. It’s nice to have a fixed time every year that gives us a reason to put on a little celebration – and that brings out the creativity in fans. Great charity activities coming up. Happy belated bday to FIL! Hope the party was nice. Thank you! THe party was great – a walk in the woods to a sandy river bank where we picnicked and some people had a swim, then a BBQ at my brother-in-law’s. A lovely family day. Very excited about the upcoming charity auction. I’m just bouncing up and down. And it’s always a good day when another Kathy Jones masterpiece appears. Hope your f-I-l has a fabulous birthday party. Glad you are looking forward to it, Tommie. I can’t wait, too. The birthday was great – a walk, a swim, a BBQ – with 13 grandchildren and 12 adults.